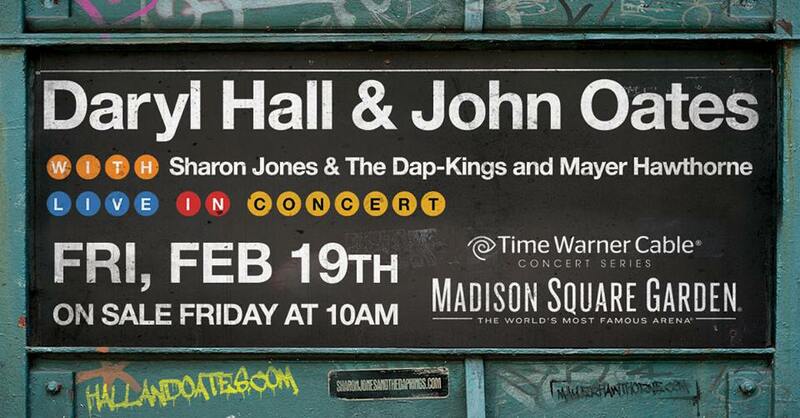 Daryl Hall & John Oates will be performing at Madison Square Garden on February 19th! Special Guests include Sharon Jones & the Dap-Kings and Mayer Hawthorne. Tickets go on sale this Friday, November 6 at 10am!